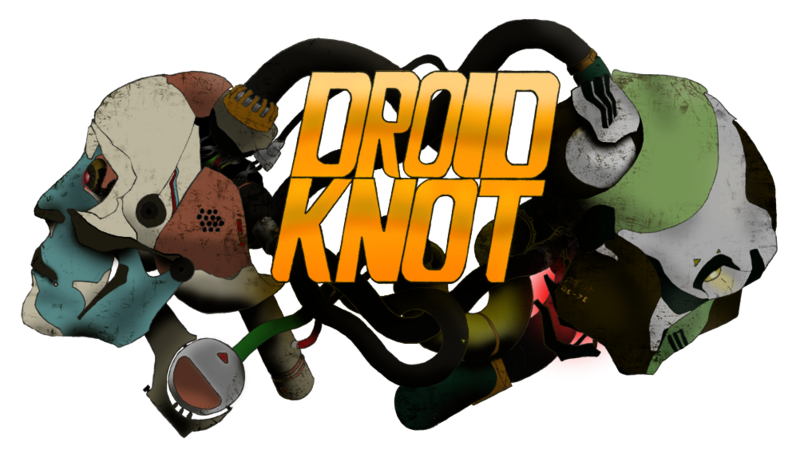 Droidknot was founded with the simple belief that game making should focus on 2 things: fun and art. Great games are not a collection of business analytics, or pet engineering projects for computer scientists. Players don't care about those things. They want the feeling we had when we were kids and we unwrapped a brand new toy, be that an action figure or a new game for the Atari, or the Gameboy or the Amiga or what ever; the smell of the plastic, the newness of it... that tingling sensation rising from your stomach into your chest as you anticipated the hours of pleasure you would derive from it. That's the feeling great games instill in their players. It can't be bottled by a business intelligence analyst or a product manager. This isn't to say those people can't contribute to making a great game. But the core of great game making is the creativity of innovative, lifelong gamers. Roguelark is a generative roguelike RPG with a richly detailed magic system, a uniquely flavored world, tiered classes, modular weapons and crafting and a retro art style. The game world is generated as you explore it, and its size is limited only by the space available on your hard drive. Roguelark is inspired by a variety of games including Rogue, Bard's Tale: Tales of the Unknown, Kenshi, Minecraft, Hotline Miami, Dragon Age, Borderlands, Dwarf Fortress, the board game Munchkin Quest, the novels of Lev Grossman and Walter Moers, and the television show Adventure Time. Roguelark will be probably be authored in Adobe Air; versions will be available on Windows, Mac, iPad and Android tablets. The art style of Roguelark will have a top down perspective similar to a game like Hotline Miami. 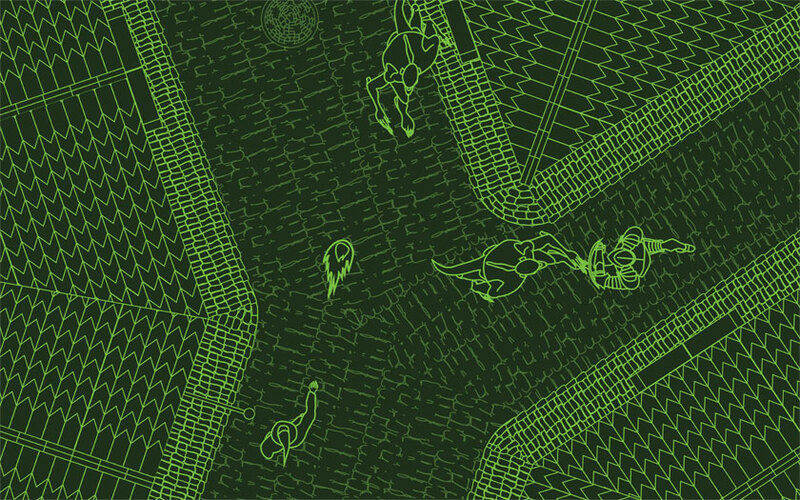 Roguelark will pay homage to Rogue, Dwarf Fortress and early text adventure games, without referencing them literally, using line art on a dark background. The environment will be fully modeled and animated within these constraints. The idea is to spend less time on creating a high-definition visual environment and more time creating quality mechanics and gameplay. The mobs will be seeded and spawned as you explore the world and will draw on the creative worlds of Walter Moers and Lev Grossman, as well as Adventure Time, for inspiration. Roguelark will have a wide variety in terms of not only the mobs, but also the details of the game world. 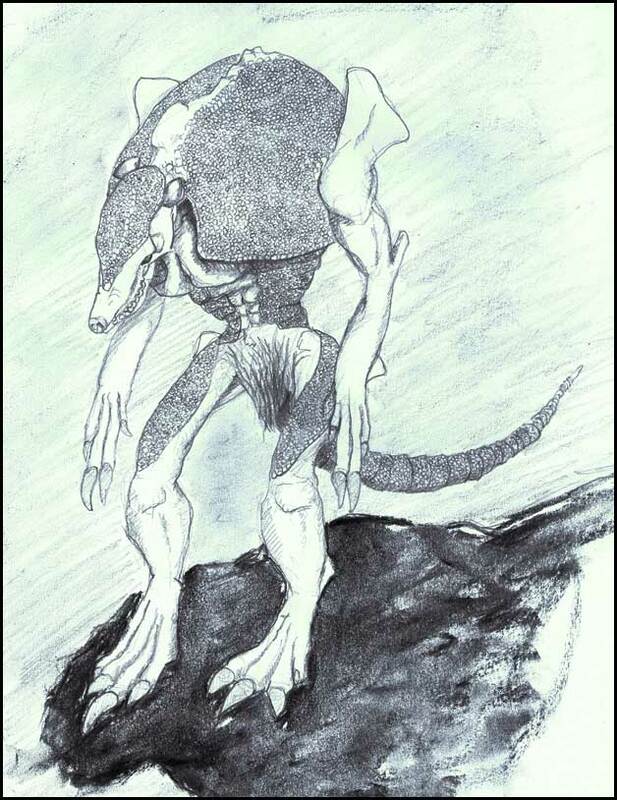 Roguelark will generate towns of various sizes, from sleepy hamlets all the way up to sprawling cities. There will also be a large variety of dungeons to explore: caves, sewers, cellars, catacombs, castles, labyrinths, ruins, et cetera. All buildings in towns and cities will have explorable interiors. In addition to the usual leveling mechanics for individual party members, your party itself will level. You will start out with only 2 party slots, but as your party levels you will be able to add additional party slots up to 8. In addition, the leveling of your party will allow you to spend party experience points on party specific bonuses. Roguelark will also give you a guild to manage, to which you can recruit members from inns and taverns. Recruit only enough members to fill your party, or recruit 100 members, it will be up to you. You will be able to buy buildings in towns to use as guild headquarters, inside of which you can build crafting benches and other items to benefit your party. Inspired by Borderlands, the weapons in the game, both those dropped as loot and those crafted by the player, will be built on a modular system allowing for a great deal of variety. 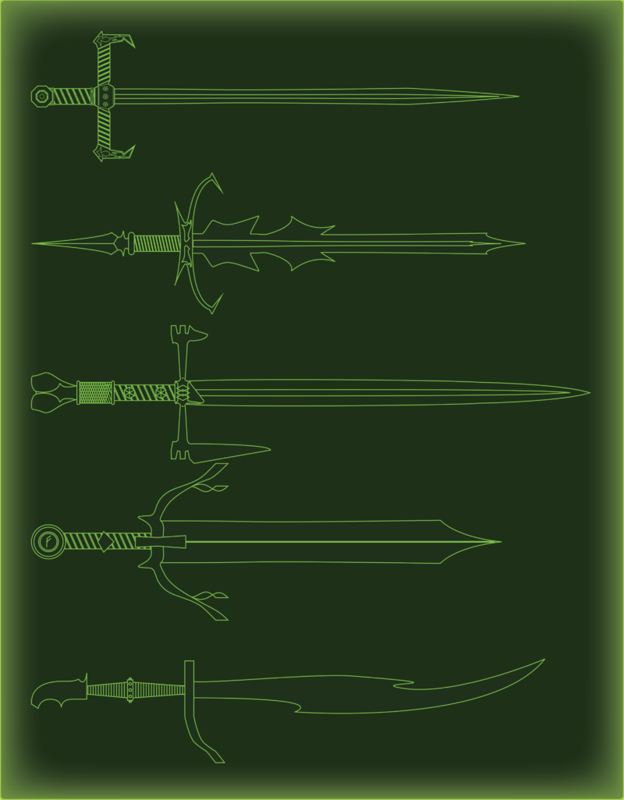 A sword, for instance, might be composed of a blade, a hilt, a handle and a pommel, all of which will lend characteristics to the handling of the sword and therefore its effect in combat. Your party members will be able to hunt, gather, scavenge and mine crafting materials. Unlike in a typical roguelike, combat in Roguelark will be in real time as you explore the world. As in Dragon Age and Mass Effect, you will be able to slow combat down with a skill wheel from which you can use special party member abilities or cast spells. Roguelark will also allow you to define the AI for individual party members if you don't want to manage them directly during combat. 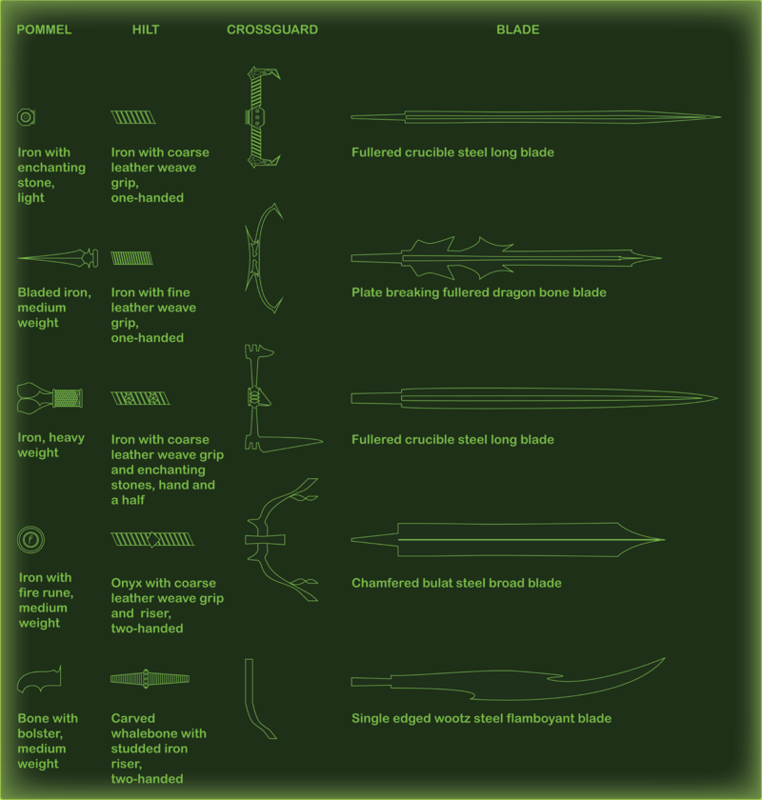 Roguelark will have a variety of interesting classes to choose from which will be heirarchically tiered. You'll start with base classes, and once you've achieved a certain level or mastered the skill tree for a class, you will be able to switch to a higher tiered class. Inspired by the Lev Grossman novels The Magicians and The Magician King, magic in Roguelark will be sophisticated and creative. Spells will be unlocked by a combination of skills and level, after which the lore can be learned by paying for lore training. To cast a spell, a magic user will need to satisfy the requirements of the spell. Some spells will require specific gestures requiring extreme manual dexterity, others might require a precise invocation in a dead language, still others may require runes or an artifact such as a wand, staff or relic to cast. There will be a wide variety in the types of magic and available magic using classes for characters. Because the class system will be tiered, magic users will be able to switch classes and master spells from many classes. If you want them to, a character will be able to master all of the lore for every magic class. KitchenSink is a library of useful C# code for developing games on the Unity3D platform. In its pre-alpha state, the library currently has no unit tests or other testing methodology defined. Unless otherwise indicated, all code is provided under an MIT license. Steve has 12 years of experience as a software engineer. He moved to San Francisco in 2007 and has been in the games industry for the past 6 years making social and mobile games that you have probably never heard of, like Chocolatier Society and Dragon Age: Legends at Playfirst, Inc. and Bioware EA Redwood Shores (formerly EA2D). 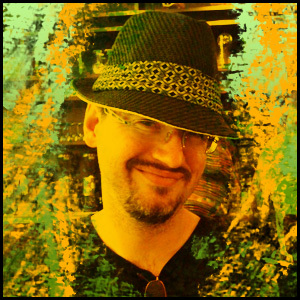 He has a BFA in Sculpture from the University of Colorado at Denver and worked previously as a web and graphic designer during the original dotcom bubble. He once served a stint in the armed forces as a military linguist where he graduated at the top of his class at the Defense Language Institute in the Russian Language program. Steve has been playing video games since the late seventies. Emily Eifler is a writer, digital artist, and youtuber who likes addressing issues regarding technology and culture and writing speculative scifi. She has an MFA from the California College of Art. 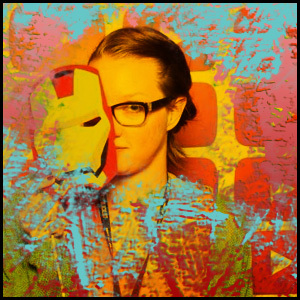 Regarding her favorite game she says, "Borderlands 2 is the sh*t." You can view her Youtube channel, BlinkPopShift, here. She is also active on Twitter and Tumblr.